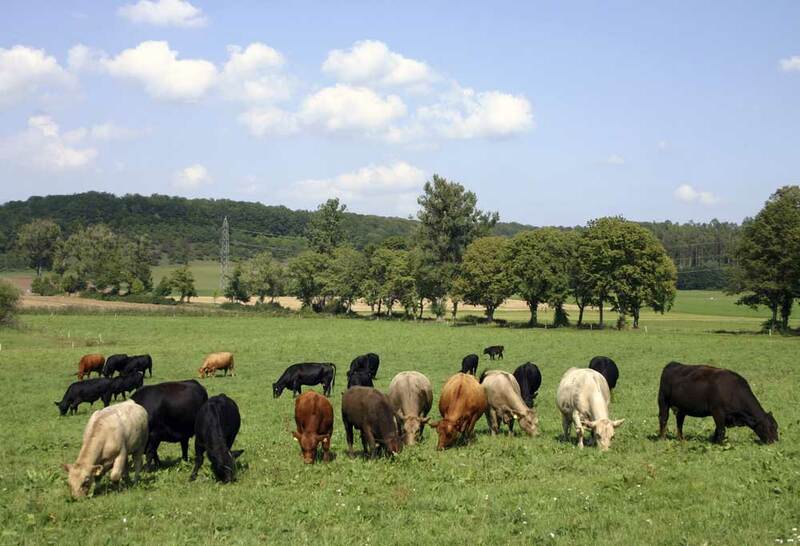 Livestock Gross Margin (LGM) provides revenue protection. It's specifically designed to help protect your profit margin. You receive benefits when the difference between hog prices and feed costs at the time your hogs are sold is less than the gross margin guarantee for the coverage period. Expected prices for hogs are set by the Chicago Mercantile Exchange lean hog futures. Corn and soybean meal prices are set by the Chicago Board of Trade futures. 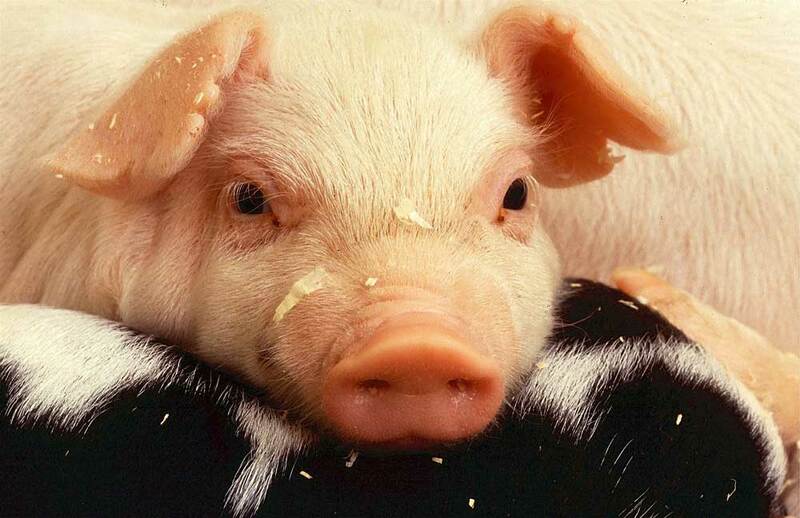 Up to 15,000 hogs can be insured during each insurance period. You may select a level of coverage of 80%, 85%, 90%, 95% or 100% of the expected gross margin. There are twelve insurance periods in each calendar year. Each insurance period runs six months and no swine can be insured the first month of any insurance period. 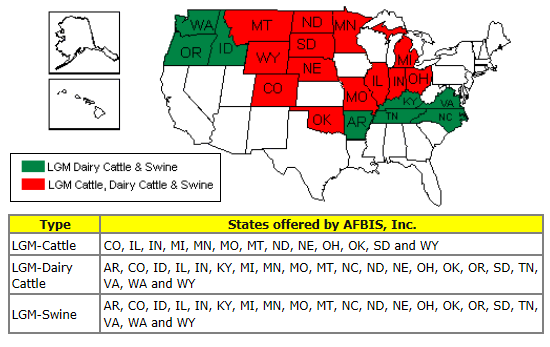 Coverage begins on your swine one full calendar month following the sales closing date, unless otherwise specified in the Special Provisions, provided the premium for the coverage has been paid in full. For example, for the contract with a sales closing date of January 31, coverage will begin on March 1. The Livestock Gross Margin for the Cattle Policy provides insurance for the difference between the Gross Margin Guarantee and the Actual Total Gross Margin based on a Producer’s Target Marketings and futures prices prior to and during the insurance period. This Policy does not insure against death or other loss or destruction of cattle. There are twelve insurance periods in each calendar year. Each insurance period runs 11 months, and no cattle can be insured during the first month of any insurance period. Coverage begins on your cattle one full calendar month following the sales closing date, unless otherwise specified in the Special Provisions, provided the premium for the coverage has been paid in full. For example, for the contract with a sales closing date of January 31, coverage will begin on March 1. The Livestock Gross Margin for Dairy Cattle Insurance Policy provides protection against the loss of gross margin (market value of milk minus feed costs) on the milk produced from dairy cows. The indemnity at the end of the eleven month insurance period is the difference, if positive, between the gross margin guarantee and the actual gross margin. 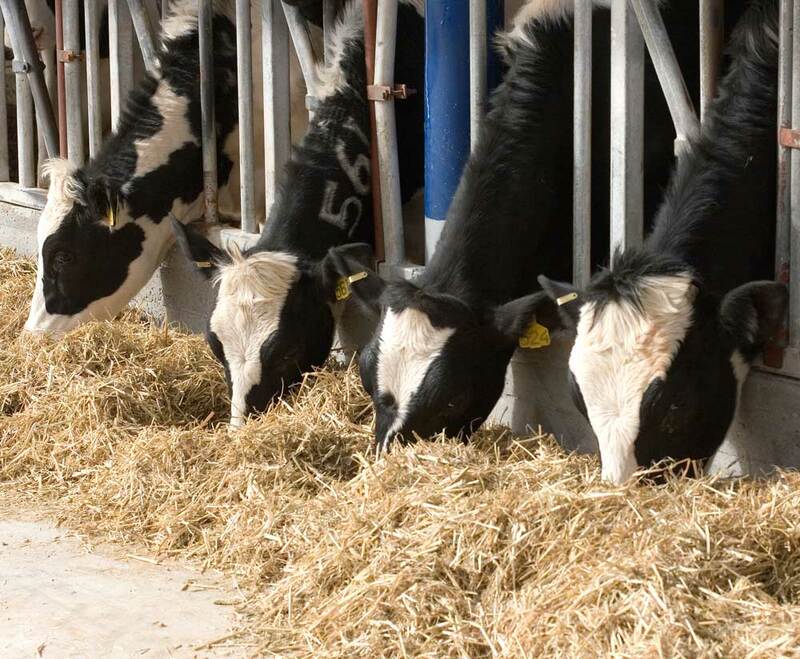 The Livestock Gross Margin for Dairy Cattle Insurance Policy uses futures prices for corn, soybean meal, and milk to determine the expected gross margin and the actual gross margin. The price the producer receives at the local market is not used in these calculations. The insurance period contains the 11 months following the sales closing date. For example, the insurance period for the January 29 sales closing date contains the months of February through December. Coverage begins in the second month of the insurance period, so the coverage period for this example is March through December.